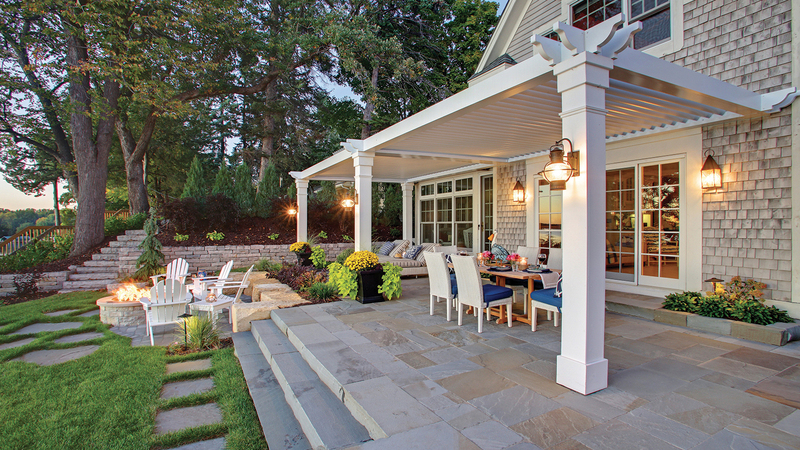 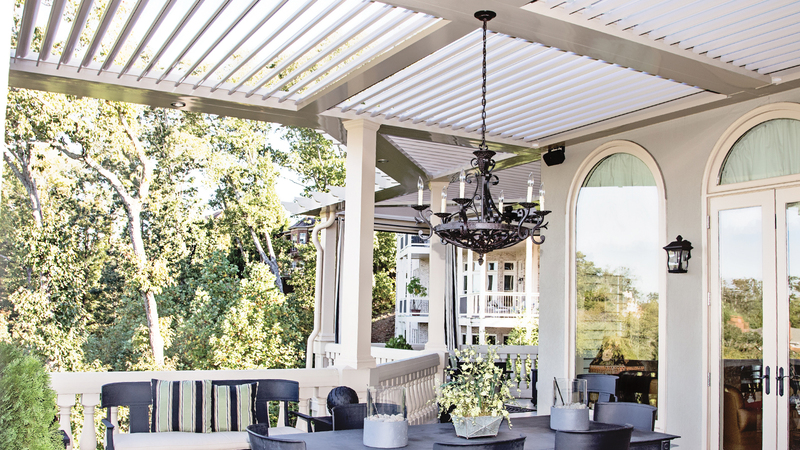 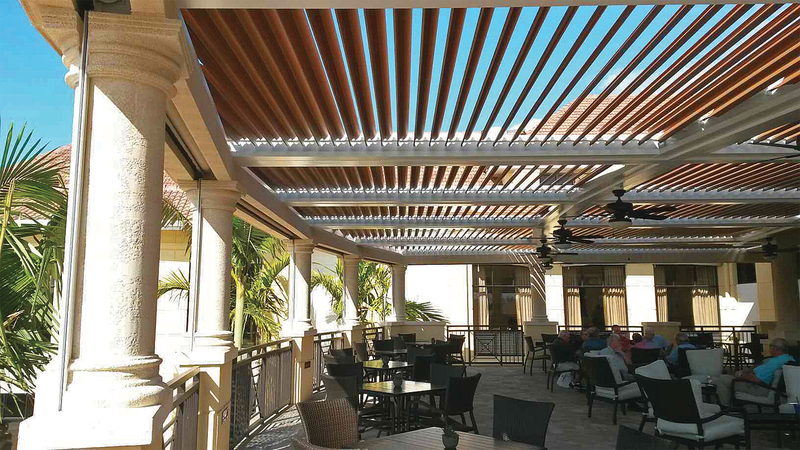 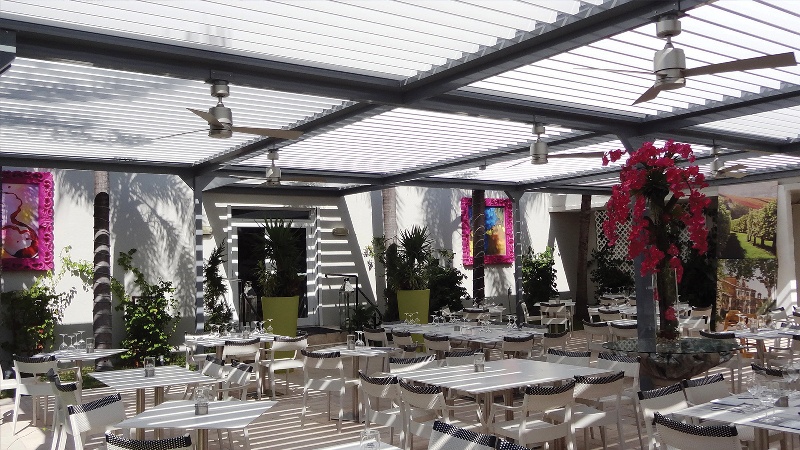 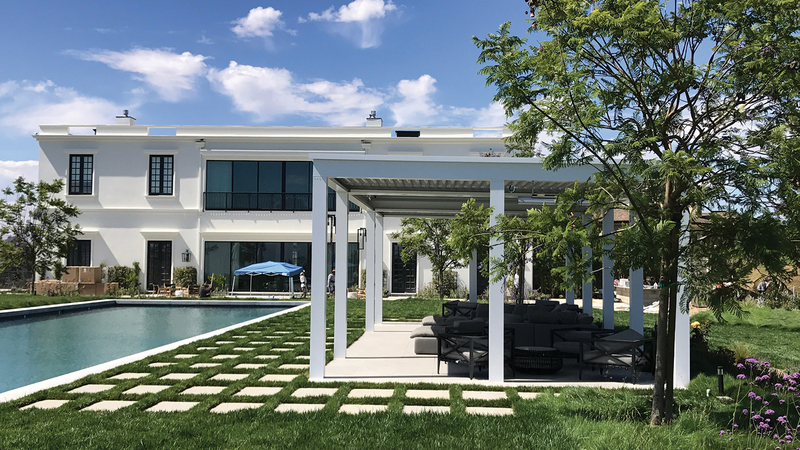 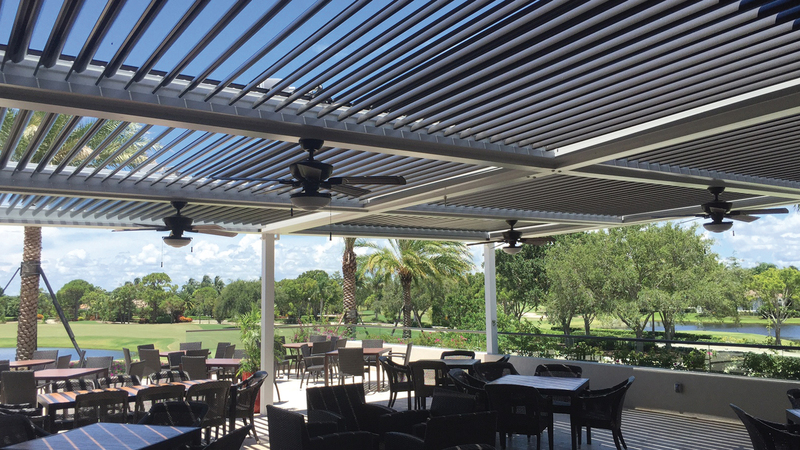 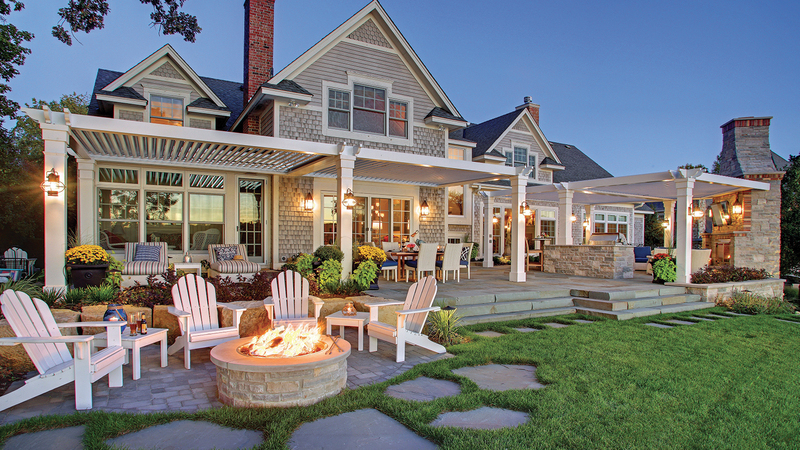 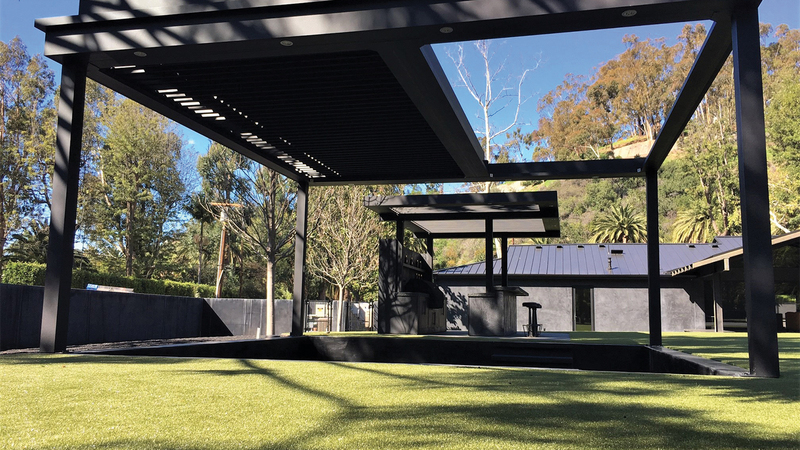 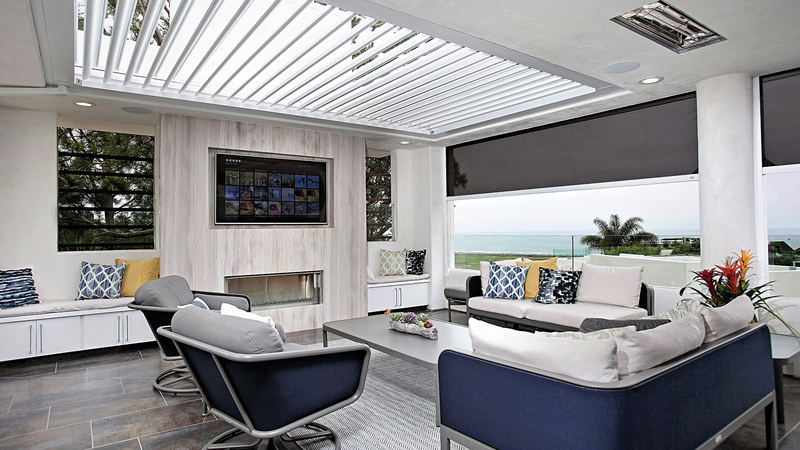 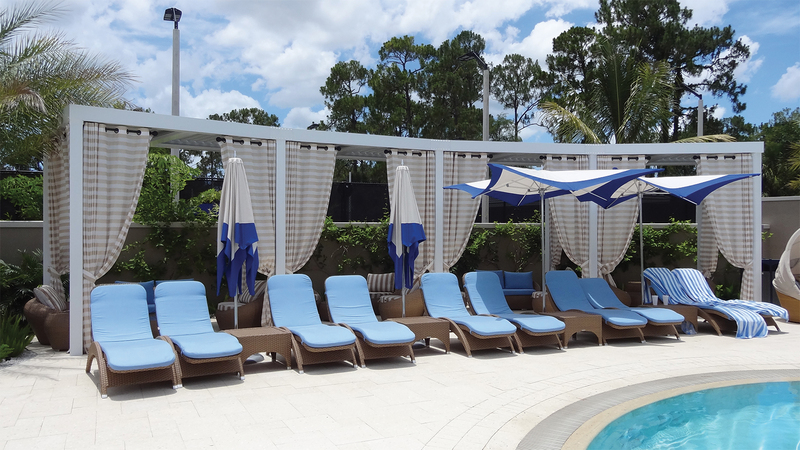 Louvered roofs represent the ultimate in back yard and luxury outdoor seating. 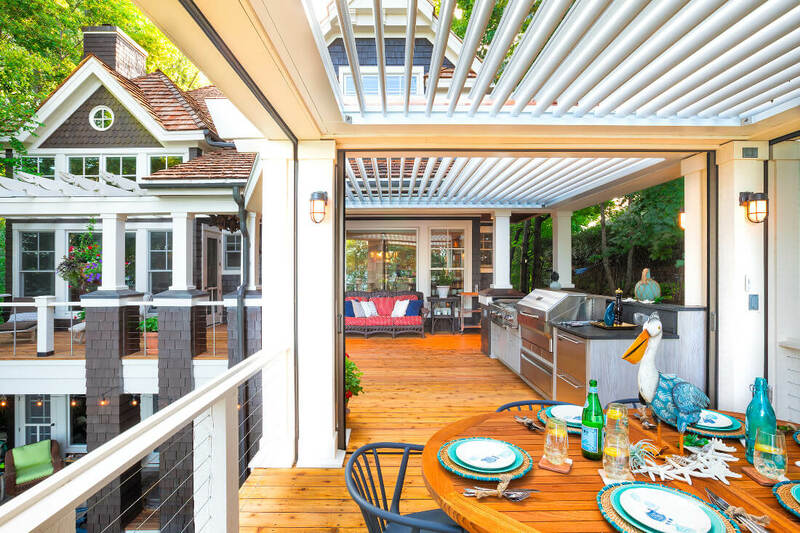 Each outdoor system is custom built to customer specifications, and engineered to exceed all expectations, including meeting stringent state hurricane codes. 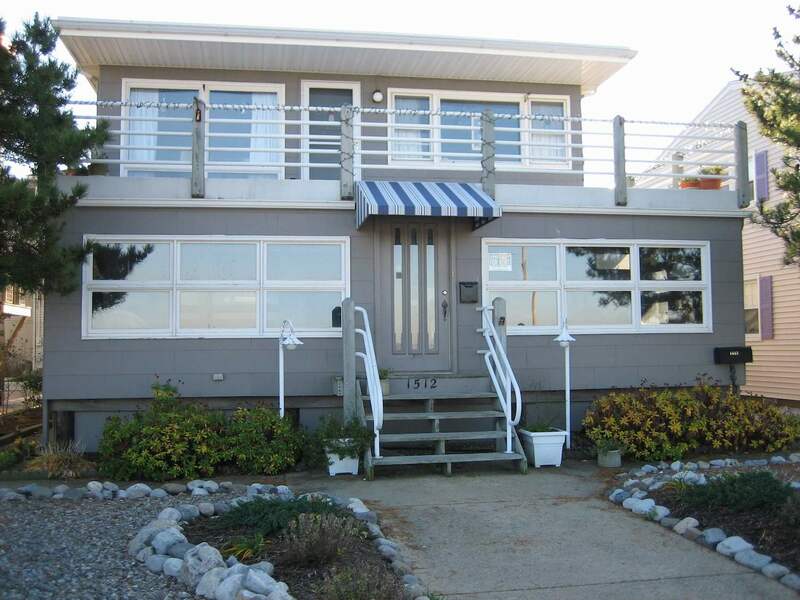 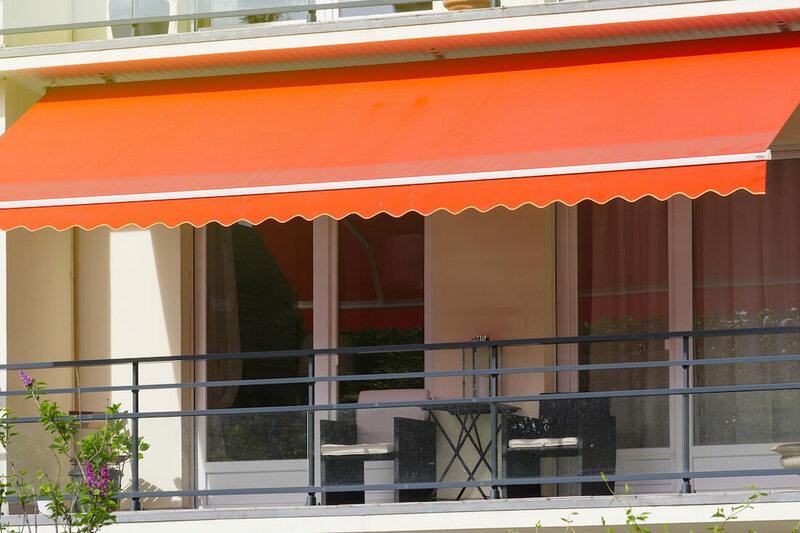 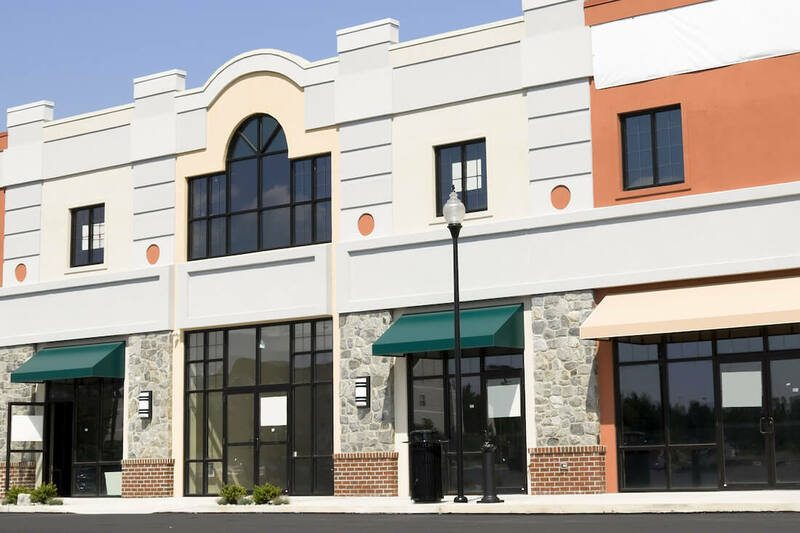 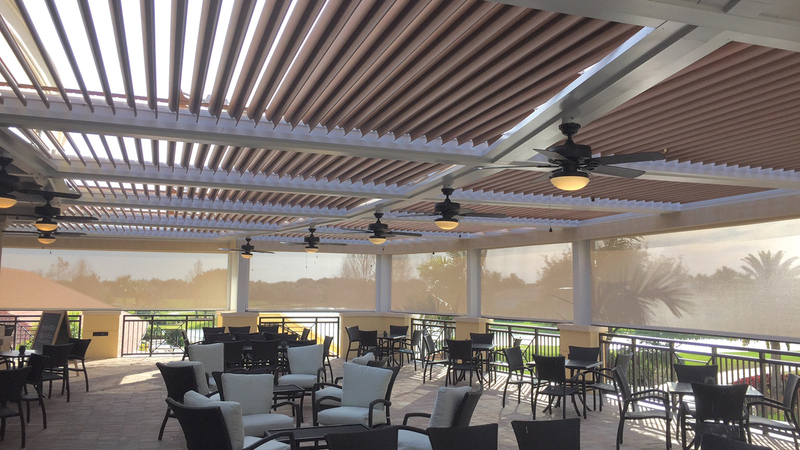 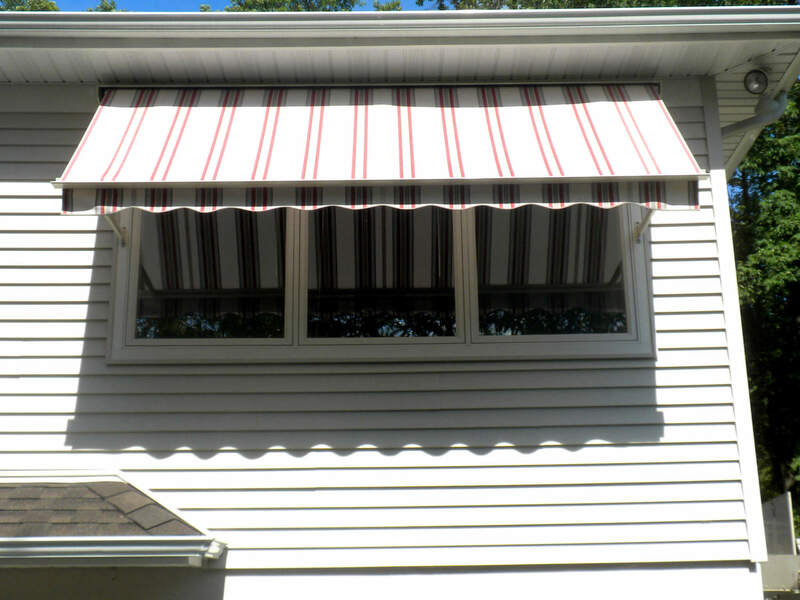 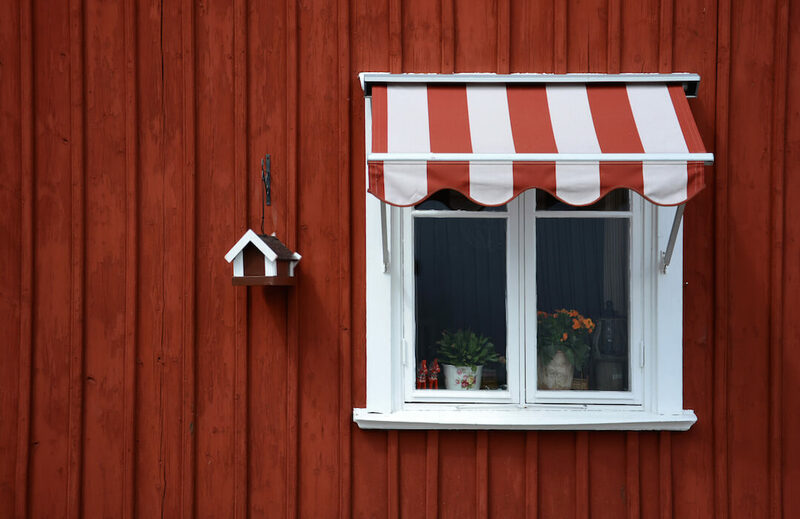 Working with a Majestic Awning representative, we will be able to customize each system so that the color and finish blend perfectly with your existing architecture. 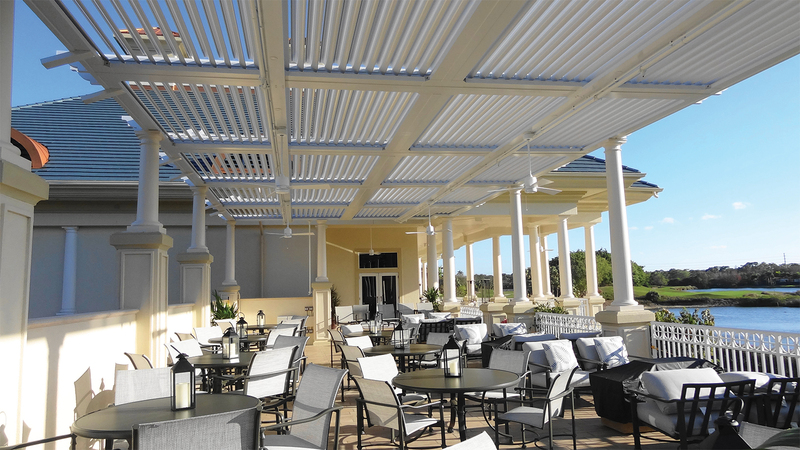 Ideal for any outdoor living and guest dining areas, such as patios, verandas, entryways, courtyards, outdoor kitchens, swimming pools and spas, it's a perfect enhancement for patrons at country clubs, restaurants, hotels, resorts and more. 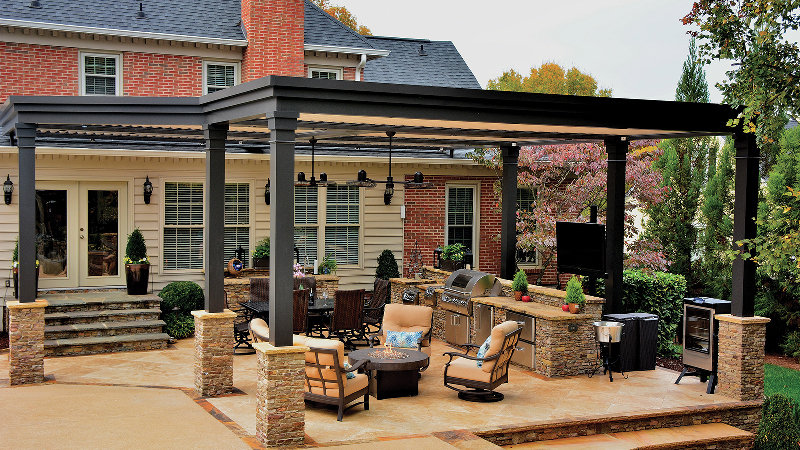 Our goal is to give you the strongest, most durable system on the market today. 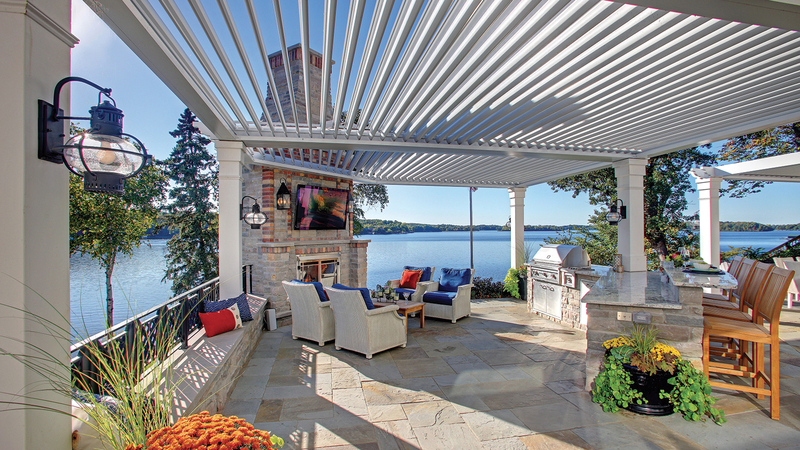 That's why every Louvered Roof System is constructed from fully-extruded aluminum and stainless steel components. 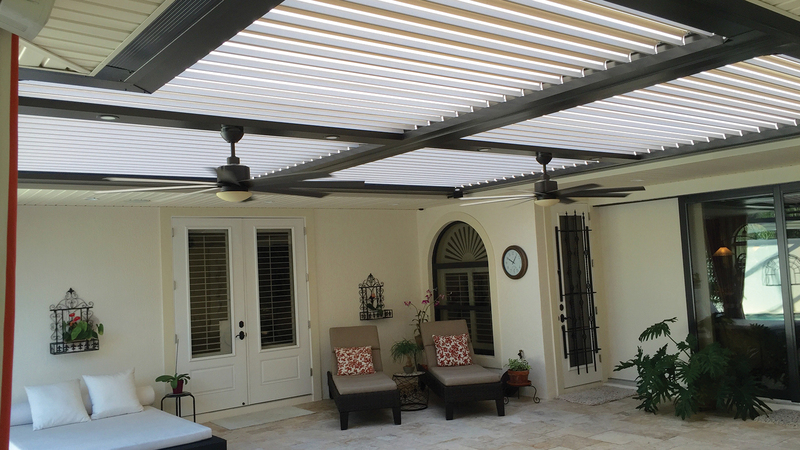 The Smart Motor drive system that powers our designs is American made and UL and CE certified. 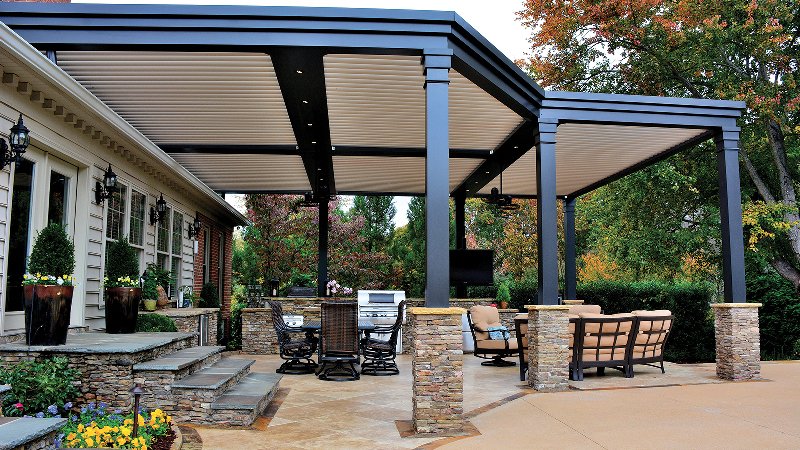 When it comes to finish, we believe that a premium product deserves a premium powder coat. 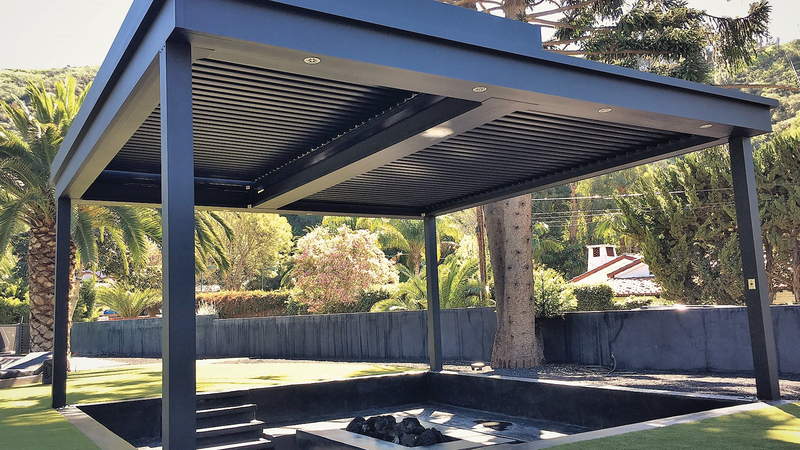 We use a premium architectural grade powder coat on all our standard components. 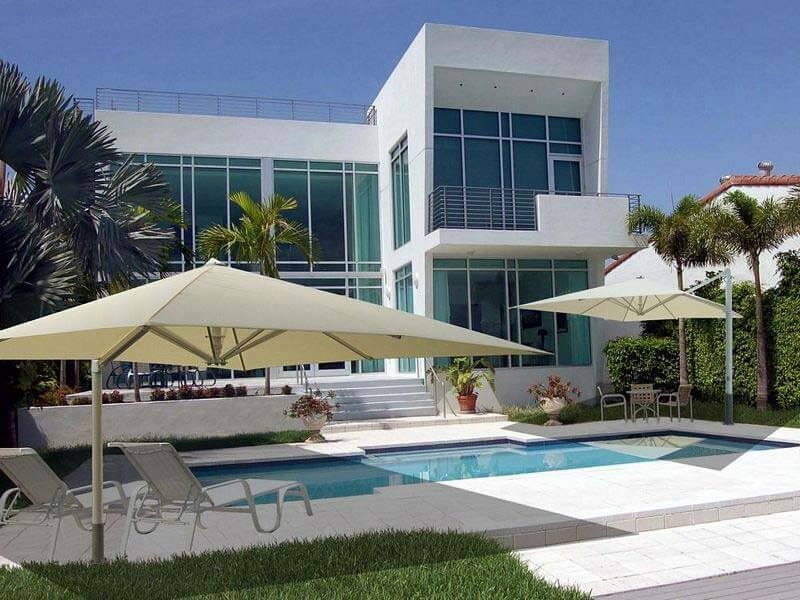 This is critical when combatting the effects of salt water, chlorine, and other environmental conditions. 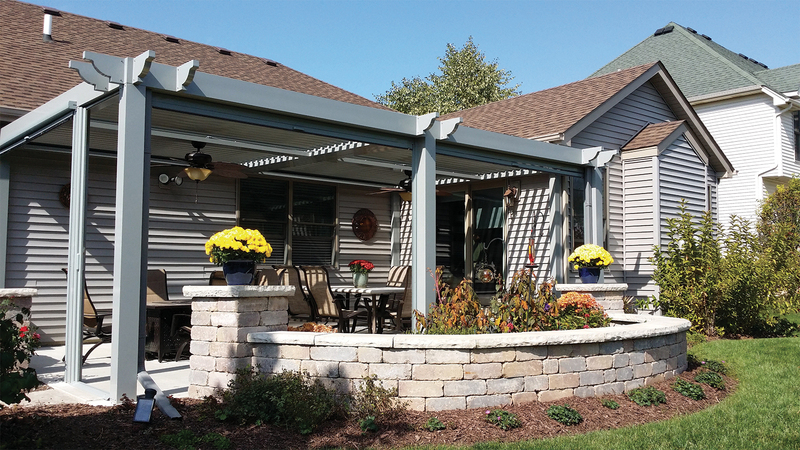 Majestic delivers a higher quality standard finish because our customers demand and deserve the best.